Will William Ayers be secretary of education in a Barack Obama administration? All parents should ponder that possibility before making their choice for president on Nov. 4. After all, Ayers is a friend of Obama, and professor Ayers's expertise is training teachers and developing public school curriculum. That's been his mission since he gave up planting bombs in government buildings (including the U.S. Capitol and the Pentagon) and assaulting police officers. 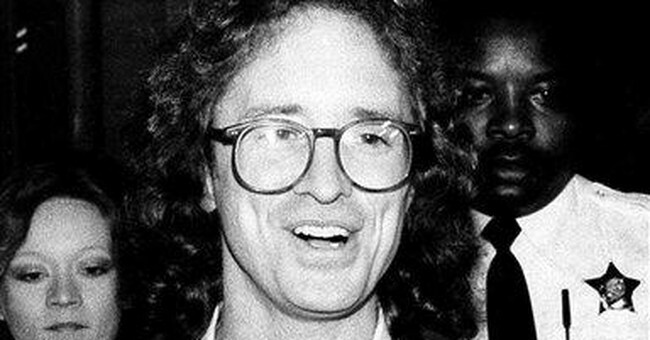 Ayers brashly admitted that he was "guilty as hell" in planting bombs in the 1970s, and that he has no regrets and feels that he and his Weather Underground associates "didn't do enough." After successfully avoiding trial and prison because of legal technicalities, he picked up his Ph.D. at Columbia Teachers College for a second career, landing a tenured job as distinguished professor of education at the University of Illinois in Chicago. From his prestigious and safe university position, Ayers has been teaching teachers and students in rebellion against American capitalism and what he calls "imperialism" and "oppression." The code words for the Ayers curriculum are "social justice," a "transformative" vision, "critical pedagogy," "liberation," "capitalist injustices," "critical race theory," "queer theory," and of course multiculturalism and feminism. That language is typical in the readings that Ayers assigns in his university courses. He admits he is a "communist street fighter" who has been influenced by Karl Marx, as well as Che Guevara, Ho Chi Minh and Malcolm X.
Ayers speaks openly of his desire to use America's public school classrooms to train a generation of revolutionaries who will overturn the U.S. social and economic regime. He teaches that America is oppressive and unjust, socialism is the solution, and wealth and resources should be redistributed. In Ayers's course called "On Urban Education," he calls for a "distribution of material and human resources." His left-wing notions would be very compatible with those of Obama, who publicly told Joe the Plumber that we should "spread the wealth." Ayers's books are among the most widely used in America's education schools. Ayers even uses science and math courses as part of his "transformative" political strategy to teach that the American economic system is unjust. Ayers is an endorser of a book called "Queering Elementary Education" by William J. Letts IV and James T. Sears, a collection of essays to teach adults and children to "think queerly." The blurb on the cover quotes Ayers as saying this is "a book for all teachers … and, yes, it has an agenda." Unfortunately, Ayers's far-out education theories are already having an effect in education schools. One after another, teachers colleges are using their courses to promote socialist notions of wealth distribution, "social justice," diversity and environmentalism, and to punish students who resist this indoctrination by giving them low grades or even denying them graduation. The U.S. Department of Education lists 15 high schools whose mission statements declare that their curricula center on "social justice." Propaganda about Obama is already finding favor with textbook publishers. The McDougal Littell 8th-grade advanced-English literature book (copyright 2008, Houghton Mifflin Co.) has 15 pages featuring Obama and his "life of service." Most of Ayers's socialist propaganda is financed with taxpayer money at state universities and teachers colleges. Some of the schools that have adopted Ayers-style pedagogy have received grants from ACORN or from Bill Gates' charitable foundation. You might assume that Ayers's political ideas would put him on the outer fringe of the left-wing education establishment. However, his peers recently elected him to serve as vice president for curriculum in the American Education Research Association, the largest organization of education school professors and researchers. Is an appointment to the U.S. Department of Education his next career advancement? Is Ayers's transformative public school curriculum the kind of "change" Obama will bring us?